My memories of Kingdom Hearts II were never as fond as the ones I had for the original game or the GBA follow-up. Make no mistake, I remembered having a great deal of fun with the sequel, but at the time, it failed to light my world on fire in the same way. Maybe it was my general disinterest in Disney at the time – ah, those “too cool for school” early teen years – but I just remembered the game not being quite as compelling. 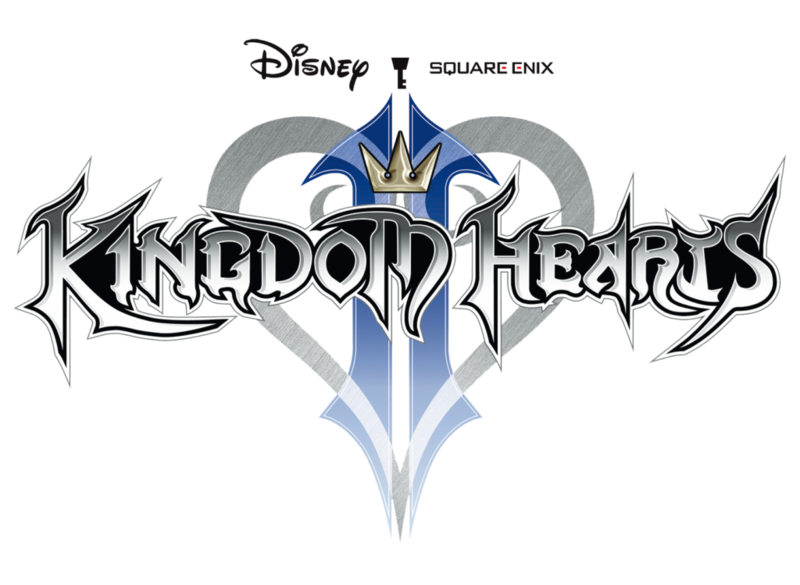 And while I’ll get to those specific memories as I discuss replaying it here, I want to go ahead and say that my position has completely flipped: Kingdom Hearts II is now not only my favorite game in the series, it’s managed to bust its way into my top 10 favorite games of all time. It’s clearer now than ever why this is a franchise that has maintained such a rabid fanbase for over a decade past its last major numbered entry. So, what was my initial take on Kingdom Hearts II that’s been so deeply changed now? What I most clearly remembered of the game from my first playthrough was a drop in forward momentum halfway through the campaign, a more convoluted story, and a few overly annoying bosses that served as debilitating roadblocks. Do those criticisms still stand? Well, yes and no. The difficulty of the bosses is still present in some places, but an additional decade of gaming experience and smarter strategies put a lot of those worries to bed. As for the story drop, a lot of that goes back to that disinterest with Disney at the time; the joy of Kingdom Hearts is just getting to spend time in the Disney worlds and seeing how they tie into the larger mythos, and Kingdom Hearts II manages to bring lots of new worlds in through some creative methods. The biggest thing that Kingdom Hearts II does different is expanding the number of times you visit each world. After your first trip around the galaxy, new stories will open up in each planet, allowing you to revisit past locales several times and see what’s changed in your absence. Some of the stories inevitably feel a bit stretched out as a result – your second visit to Halloweentown is about as perfunctory as it gets – but it goes a long way towards expanding the experience and recreating old stomping grounds. Returning to old worlds is made more enjoyable because of the improvement to map design across the board. Instead of feeling strictly like a series of interconnected room boxes, there’s much more variety to the geography, with winding paths, large city squares, and multileveled caverns. True, everything is still broken down into several smaller zones with two or three exits, but everything feels more organic and well-designed this time around. The combat has evolved, too, bringing numerous upgrades for the better that make for an even more in-depth fighting system. 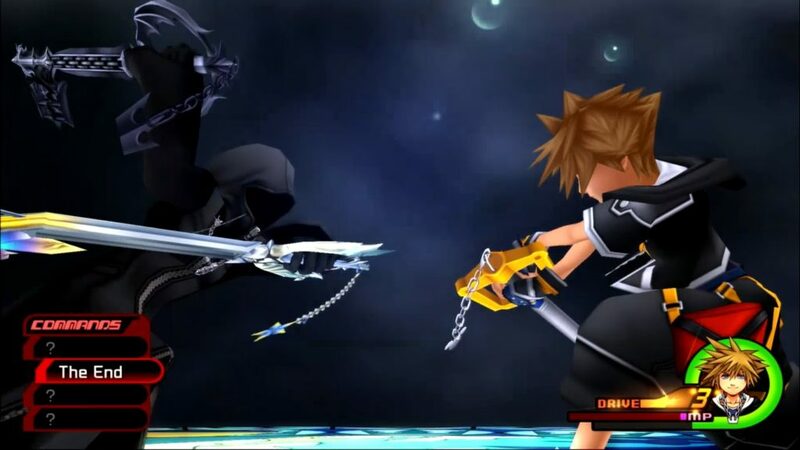 Numerous new combos have given basic Keyblade combat plenty of options, with the Ability system allowing for a wealth of customization options for approaching each fight. On top of that, the new Reaction Commands favor those with good reflexes and timing, as almost every enemy can be taken advantage of with a unique finisher move. 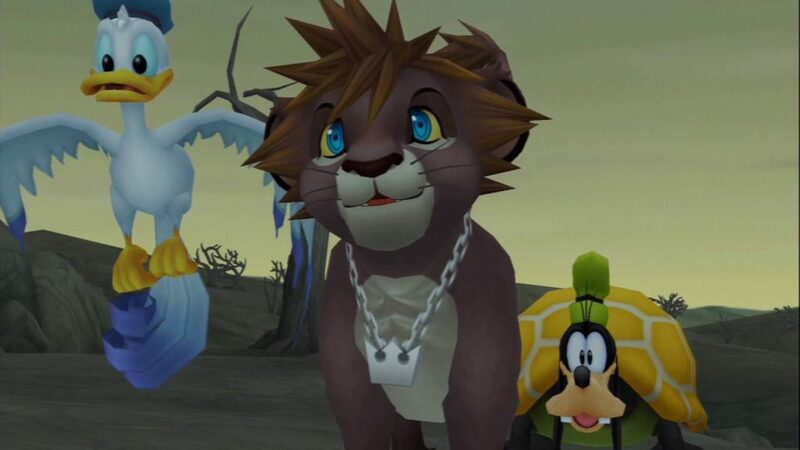 Further, Sora now has access to several unique Forms that alter his skillset in different ways. Valor Form puts an emphasis on quick melee combat, while Wisdom Form enhances magic spells and gives the Keyblade a blaster configuration. With six modes to pick from by the end of the game, all capable of leveling up and unlocking new abilities of their own, the Form system adds even more variety to an already deep combat system. 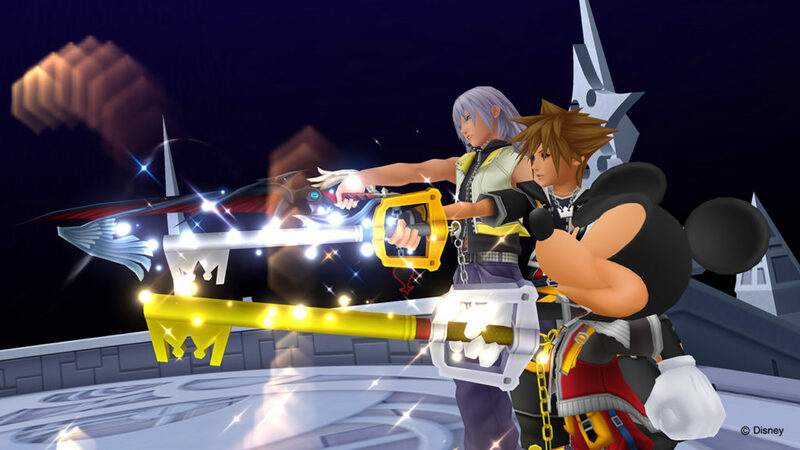 Given that basic magic and summons also return, as well as plenty of powerful Limit moves pulled off with one of your party members, everything comes together for Kingdom Hearts’ most satisfying combat system yet. The gameplay manages to remain engaging and fun right through the endgame, to the point that I was still jonesing for more after taking out the game’s numerous secret bosses and finding all collectibles. It’s also just a fun set of worlds to explore, from seeing how venues from the original game like Agrabah and Olympus Colosseum have evolved to experiencing the vast aesthetic differences of Timeless River and Space Paranoids. The scope has expanded considerably this time around, and it’s great exploring the numerous changes in the initial 25-hour campaign and beyond. Which brings us back to the story itself, and my memories of a more convoluted story. In truth, this game does add a lot of new elements, primarily the concept of Nobodies and Organization XIII. And though I can’t say that the machinations of Xemnas are ever 100% clear, they are truthfully straightforward. Much like Ansem, Seeker of Darkness in the first game – and the fact that he’s technically a character not even related to the real Ansem the Wise is where the true convolution lies – Xemnas just wants to steal the powers locked away in Kingdom Hearts. Further, this game does a much better job of putting clear faces to the antagonists of the franchise. Maleficent takes on a clearer, more prominent role in the narrative this game, with Pete serving as a solid second-in-command for her efforts. And though the various members of Organization XIII outside of Axel remain generic, they set the stage for the introduction of the true Big Bad, Xehanort, well enough. And at the heart of it all, this is less a game about taking out the villains than it is about completing Sora’s initial journey to reunite with his friends. It’s a theme that permeates each world, stories about the various Disney and Final Fantasy characters finding their place in life or reclaiming their homelands. The emotional crux of the game doesn’t come from seeing Xemnas taken down, but in teaming up with Riku to do it before finally reuniting with Kairi at Destiny Islands. The last surprise of Kingdom Hearts II is just how well it all wraps up. Yes, there are still threats out in the universe that Keyblade users will have to unite to stop, but in concluding Sora’s first mission to return home, the game reaches a natural stopping point in the narrative. And though 12 years is a ridiculously long time to wait between numbered sequels, nothing in this game demands an immediate follow-up. It makes me all the more okay with the long march of spin-offs and prequels ahead of me. On the other hand, the demand for a true sequel make perfect sense after putting so much time into this title. Kingdom Hearts II is everything one could want from a sequel, an evolution in every aspect from gameplay and graphics to narrative and world design. It holds up remarkably well over a decade later, and it stands as one of the best games ever made. If Kingdom Hearts III can improve on those elements further? It’ll be an unquestioned game of the year contender, whatever year it finally comes out. Tags: Disney, Features, Gaming, Kingdom Hearts, Kingdom Hearts II, Square Enix. Bookmark the permalink.